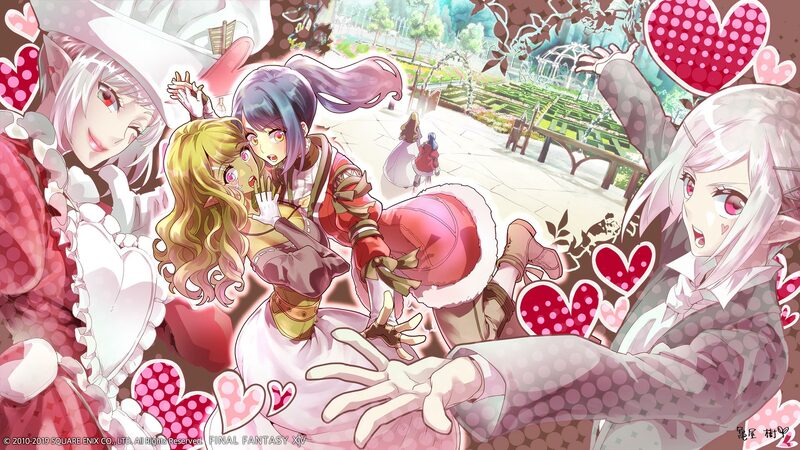 Love will soon be in the air as Valentione’s Day makes its return to Final Fantasy XIV on January 31st. Those who participate in the events festivities this time around will be able to earn a handful of rewards, including a couple of interesting weapon choices including the Gigas Greatsword and the Tonberry Knife. If furnishing items are more your thing, you’ll soon fill your house with the lovely scent of this Valentione Lobster Platter, “…complete with a heart shaped pizza. Because reasons.” A beautifully thought out Valentione Cake Pairing and a cute Stuffed Mammet to cuddle with afterwards. The event will begin on Thursday, January 31st at 12:00 AM PT and run until Friday, February 15th at 6:59 AM PT.